Welcome home, and to the world of laminate. Home holds a magical place in our hearts. “Be it ever so humble, there’s no place like home,” said playwright and actor John Howard Payne. From humble to palatial humankind’s love of home transcends cost, time and place. Because home is where dreams are shared, families are created, relationships mature – where life happens. That’s why our goal is to provide you with quality laminate flooring products that offer a positive and lasting effect on your home. Products that beautify your home, enhance the décor, meet your specific comfort, performance and budget needs, are easy to care for, and stand the test of time. To help achieve our goal, we’ve created a library of laminate flooring knowledge, style choices, shopping tips, buying considerations and upkeep dos and don’ts. Carolina In Home Flooring & Design Center features laminate flooring & serves Raleigh, Durham, Cary, Chapel Hill, Greensboro, Winston-Salem and surrounding areas. We think you’ll be amazed – maybe surprised -- at how faithfully and beautifully laminate flooring resembles other premium flooring. It’s a fact. 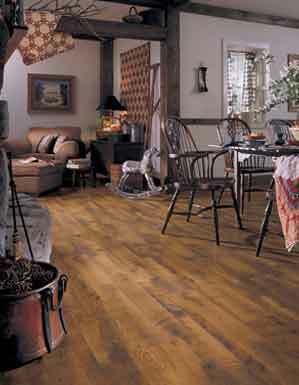 Laminate flooring offers a significant value in the world of hard surface flooring options. 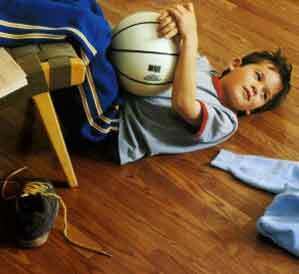 Because laminate flooring is stain resistant, it doesn’t t need to be varnished or waxed. 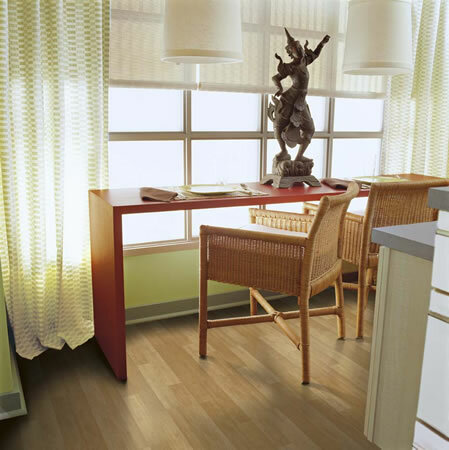 Laminate floors are also less likely to fade in direct sunlight, unlike the graceful aging hardwood floors. Why Europe you ask? Since laminate flooring can be installed over many types of existing floors, that has made it a natural for old European buildings. Since this resin filled wear layer is so dense, it becomes extremely difficult to stain or scratch. If laminate flooring may be a possibility for your home, we invite you to learn all you need to know in the other laminate sections here, and at our store.